HomeEarning the Chase British Airways Visa Card “Travel Together” benefit. Is it hackable? 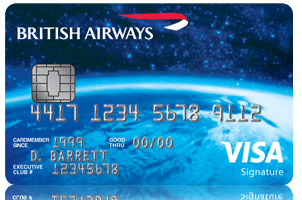 Earning the Chase British Airways Visa Card “Travel Together” benefit. Is it hackable? The problem is the fine print. They start to give some clues with the “taxes, fees and carrier charges apply”. They might just as well say you’ll actually have to pay for the ticket. My wife and I have earned this on our cards but I doubt I will ever use it. It can be an OK benefit if you plan to spend money anyway. Basically for the cost of taxes and fees on a business award ticket you could buy a coach ticket. So it’s like buying an upgrade. This voucher entitles you to book an extra seat for a companion to accompany you when travelling on British Airways (operated by Comair Limited) flights in South Africa. Your companion will have to be booked in the same cabin as you. All you will have to pay is the taxes, fees and charges for you and your companion’s ticket. Your voucher must be exchanged for a ticket and outbound travel must be taken before the expiry date on the voucher. You are only eligible to receive a Travel Together Ticket (“Voucher”) for a companion if you are a member of the BA Executive Club and are the main account holder within a BA/Chase Credit Card account (a “Member”). Additional cardmembers to the main Credit Card account are not eligible to receive a voucher. Any amount spent on any supplementary Credit Card(s) of the main Credit Card account will count towards the main account holder’s Spend Target. To be entitled to receive a voucher, the Member must have reached the required Spend Target within a 12 month period starting each year on January 1 and ending on December 31 (the “Twelve Month Period”) For the avoidance of doubt, if a customer opens a Credit Card account on any date following January 1 then they must have reached their Spend Target by December 31 of that year to be awarded a voucher. The qualifying Spend Target of the BA/Chase Credit Card is 30,000 USD (the “Spend Target”). Qualifying spend does not include cash withdrawals, interest, balance transfers and fees. Only one voucher can be earned in any Twelve Month Period. If the Member reaches their Spend Target within the Twelve Month Period then further spend will not accumulate towards another voucher. Members can begin earning towards their next voucher at the beginning of the next Twelve Month Period. When the Member has reached the Spend Target an e-voucher (“Travel Together Ticket”) will automatically be added to their BA Executive Club account. Please allow 4-6 weeks for delivery. The e-voucher will be valid from the date on which it appears on the Member’s Executive Club account and will be valid for 24 months. The Travel Together Ticket (voucher) allows the main BA/Chase account holder, when making a return flight booking using Avios, to book another seat on the exact same journey for a companion without having to pay the Avios flight price for that Companion. Taxes, airline, government, or other separately charged fees and charges must be paid by Member redeeming the voucher and is payable at time of booking. The voucher will be issued in the name of the main BA/Chase Credit card account holder, who must travel on any voucher. The voucher may only be used for bookings, which are strictly subject to availability and BA offers no guarantee that Members will be able to book for a Companion on any specific flight. A Member who has two valid vouchers on their account has the option to redeem both of them simultaneously on one flight booking, the Avios flight price must be paid for the Member and an additional individual in order than 2 Companions can travel on that booking. The voucher can only be used for travel on reward flights listed in the Executive Club Redemption table operated by BA, in any cabin class, as long as the Member has sufficient Avios to complete the booking for their desired journey. All travel must originate in and return to the US. The voucher cannot be redeemed for travel with BA’s franchisees, code share partners or oneworld Alliance members. The voucher must be booked online at ba.com. The Member and their Companions must travel together at all times and therefore must be booked onto the same flight and cabin class when travelling using a voucher. Bookings for Companions must be made at the same time as the Member makes their booking. Companions do not have to be named within a BA Executive Club Household Account. Members can choose to take anyone as a Companion on their redemption voucher booking. Outbound travel must take place before the expiry date stated on the voucher, however inbound travel may take place after the expiry date. The voucher is non-extendable, non-transferable and have no cash value. No Avios or other frequent traveller programme miles or points may be earned on the voucher. Once travel using the redemption voucher (s) has been booked, name changes are not allowed. If travel using a voucher is cancelled within 24 hours of departure, the voucher will not be re-issued to the Member’s Executive Club account. If travel using a voucher is cancelled more than 24 hours before departure then the voucher will be re-issued to the Member’s Executive Club account for the remainder of its original validity period. BA reserves the right to amend these Terms and Conditions at any given time. Any amendments made to these Terms and Conditions will not affect the validity of any voucher which have already been issued. The voucher cannot be used in conjunction with any other offer or promotion, including Priority Reward (Gold Executive Club membership benefit). For more information on Priority Reward please visit ba.com. Any use of the voucher and/or use of Avios must be in accordance with the BA Executive Club Terms and Conditions. Members and their Companion(s) will be carried by BA in accordance with its notice and Conditions of Contract (as stated on each ticket) and its general conditions of carriage for passengers and baggage (copies available on request). Members must remain eligible for this promotion at the time of travel. BA and Chase reserve the right to withdraw any vouchers in the event that the Member is in breach of the terms of the BA/Chase Credit Card or the BA Executive Club Terms and Conditions. Offer subject to availability and may be withdrawn at any time. Additional significant restrictions may apply. I highlighted the important parts. Basically you have to redeem it on a round trip from the US only which nearly all flights go through London LHR with a few exceptions for Open Skies and London City service. So not only do you have high airport fees and taxes but you have to pay the super high BA fuel surcharges (YQ) so that free ticket will cost arouind $1,000 in many cases. I’ve spent a lot of time researching and the experts seems to agree there is no way to fuel dump this. The closest I can find is that it is cheaper to book two one way awards in and out of LHR but that doesn’t work with the “together ticket” as it must be round trip originating and ending in the US. . I love my BA Avios card and many of the benefits but this is my least favorite feature. By the way I do not earn any commission from credit cards on this site so this is just opinion and based on personal experience. ← Not a good idea to sleep on airport floors during IROPs in my opinion.